All sample selections below are on the CRIMSON CD (except Azulao) — plus many others! Doug Robinson has had a diverse career of touring and session work as a vocalist, guitarist, bassist and producer. He has performed at Carnegie Hall, and contributed to the soundtracks of several PBS television programs. 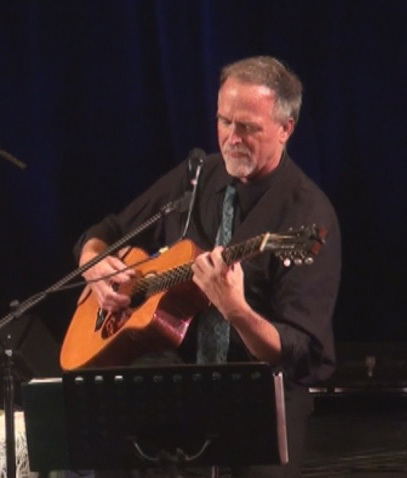 Doug has performed with many world music, folk, country, pop, jazz and blues artists. His recent projects include international tours with British guitar legend Martin Simpson, and European tours with blues artist Tino Gonzales. Doug has played five consecutive seasons as staff musician at the famous “Festival D’Ete” World Music Festival in Quebec City. Sally and Doug do house concerts! Watch the video for a sampling of the kind of show you can host in your own home.